Campeonbet has a mobile version of a website, but as we see, when loading the home page, there is no mobile application for Android and iPhone or Apple devices at all. There is only a mobile version, where can be displayed by typing the url address on mobile device. 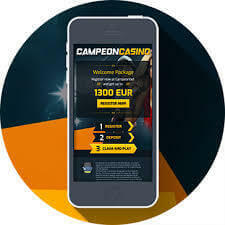 Mobile version is very well made, it’s easy to use, and we think that bookmaker Campeonbet make very good mobile version and the customers can enjoy playing on sport and casino. They can easy navigate to the main menu and sub menus and to choose their favourite games. 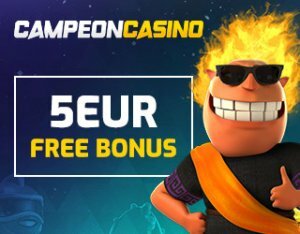 You can enjoy the casino games and the betting at all by using the mobile version of Compeonbet bookmaker and after we load the website, we see Sports and Casino sections. For sports, main presented sports are football, basketball, tennis, volleyball, cricket and the other sports and they can be easy reached by menu. You can also play on live sports, like Football, by choosing Live Now and there you can see matches which is played at the moment. From the mobile version you can not only play but you can make a deposit, you can make a withdrawals and the functionality is the same as desktop. Here you can make different type of deposits with payment methods skrill (moneybookers), neteller paysafe cards, bank transfer and other payment methods. 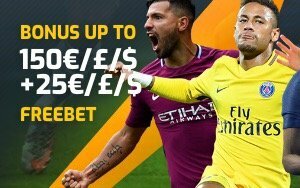 Mobile version is so fast and this is one of the advantages here, but as we said before there is no mobile app in Campeonbet bookmaker. On the mobile version you can play not only Sports, but casino games most of the casino games can be played on mobile devices and we can say the mobile version is very well made. Also the site is mobile-friendly casino games are available in instant play and there are so many software developers to choose from. Here are one of the casino developer leaders in casino games and we think that it is a good mobile version at all. Customers can chose games from leading providers like NetEnt, Play’n GO, Pragmatic Play, iSoftBet, Habanero and other software developer companies. When you has a question about Campeonbet account, or other question,you can contact the support between 9 a.m. and 9 p.m. The support is not 24 hours available.